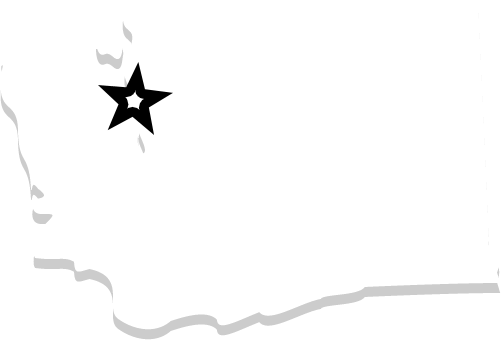 At Bob Oates Sewer and Rooter, we are a top-rated sewer repair company in historic Queen Anne. We have the most effective no-dig sewer repair technology available to correct any sewer issue, from minor corrosion to a major fracture. Our services not only solve your problems in a single day, they prevent additional problems in the future. Trenchless sewer repair uses innovative tools and materials that enable us to repair or even replace damaged sewer lines without the need for digging or demolition. Rather than days or even weeks of excavation, we can complete even large sewer repairs in as little as a day. Trenchless repairs protect historic architecture and mature landscaping from damage, not only reducing the cost but also maintaining the attractive appearance of your property. Our work is conducted discreetly so that your schedule isn’t disrupted and your property is kept intact. Our two most common sewer repair procedures are pipe lining and pipe bursting. For pipes that have leaks, cracks or holes but are still retaining their shape, pipe lining is an effective solution. We insert a specialized tube coated with an epoxy resin through an opening in the system called a cleanout port, then inflate the tube to cover all the damaged sections of the pipe. The epoxy cures over several hours, adhering to the inside of the damaged pipe and forming a new, cured-in-place pipe (CIPP) within the old one. The CIPP has an ultra-smooth interior to improve water flow, and it resists saltwater corrosion, rust, and tree root penetration for up to 50 years. Once we’ve relined your pipes, you won’t have to worry about sewer repair again for decades. If your pipes have fractured and dislocated, collapsed or warped out of shape, pipe bursting enables us to replace the entire pipe in place without digging. For our historic homes in the Queen Anne area, this method enables us to renovate aging sewer lines and correct even difficult sewer problems without risk to your home’s unique features. Rather than removing the old pipe, we insert the new pipe into the old one with a specialized tool that pulls the new one through and breaks the old one outward. The new pipe slips into place where the old pipe was, effectively replacing it without any digging. This useful pipe replacement solution can be used in a wide variety of situations, including pipes damaged by storms or tremors, as well as pipes with complicated connections. 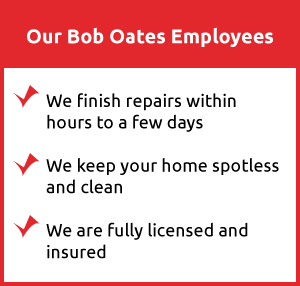 Bob Oates has the most skilled technicians in the area, all of whom have been carefully screened to ensure that you always receive top-quality customer service. Our staff is fully trained in pipe lining and pipe bursting techniques, so your repair will be handled with efficiency and professionalism. 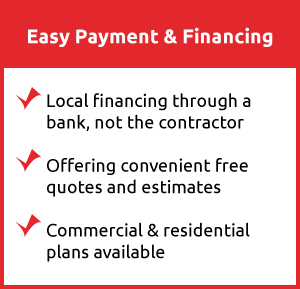 We offer high-quality solutions at affordable rates, so you can be sure you’re getting the best value. For sewer repairs in Queen Anne, you need Bob Oates Sewer and Rooter. We respect your home and value your time, so you can count on us to fix your problem quickly, affordably, and effectively. Call us to today!